Not every truck, like the Land Cruiser pictured above, is fitted with locking differentials or advanced traction control systems. 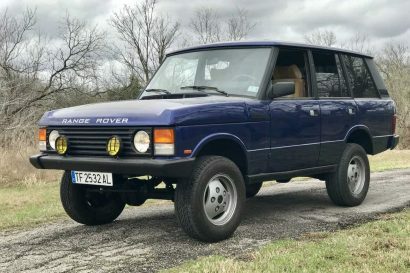 The experts at Team O’Neil have the off-road driving acumen to hopefully overcome the situations where open differentials could present a significant challenge. 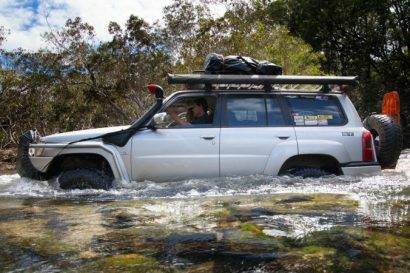 “Driving a fairly stock vehicle in off-road situations can be a challenge, but even a completely unprepared vehicle can get through some pretty extreme situations with the right planning and techniques. One of the main things to keep in mind is that with open differentials, power will be fed to only one wheel (the one with less traction) when the vehicle starts to get stuck… The key here is to use a few simple tricks to get the vehicle moving forward again. 1. Only keep the wheels spinning at a reasonable rate, adding a massive amount of throttle when you’re only a bit hung up will dig the spinning tires down into the earth, creating bigger holes which are harder to get out of, and compromise your ground clearance, possibly even high-centering the vehicle. Slight, steady gas is the best. 2. Straighten the steering wheel completely. This will give the front tires the least amount of rolling resistance, and is often enough to get the car moving forward again. 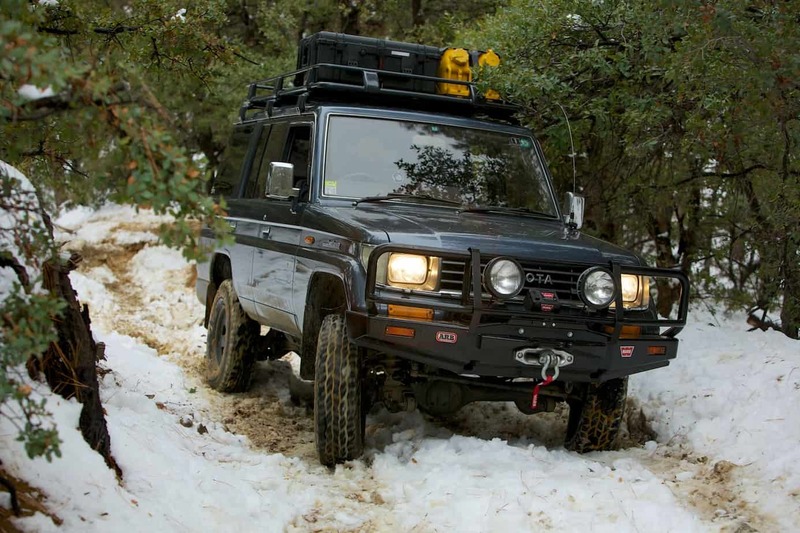 Straightening the wheel also gives the front differential its best chance of feeding power to both front tires, effectively locking the front end and pulling you out of the mess you’re in. 3. Saw the wheel. Moving the steering quickly back and forth from about 9 o’clock to 3 o’clock repeatedly will do several things that might help: It will shift the weight of the vehicle back and forth from one side to the other, possibly forcing one of the spinning tires down onto some traction. 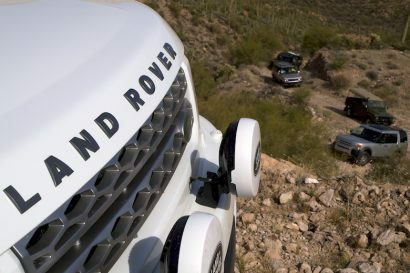 It may also trick the front differential into feeding power to alternating front tires as you steer, pulling you forward. It also tends to clear mud or snow out of the way of your front tires, basically your tires having the same effect as a windshield wiper or a salmon swimming upstream. 4. Steer back and forth slowly from one side to the other, from almost full-lock one way to almost full-lock the other way. This may be enough to force the front differential to alternate power. Also, you may just be stuck on a stump or rock right in front of your tire, and this will steer you around such unseen obstacles. Whenever possible, steer whichever way is downhill, gravity may give you the slight boost that you need to get moving. Avoid full-lock on the steering, this is where axles are at their weakest and most likely to fail.